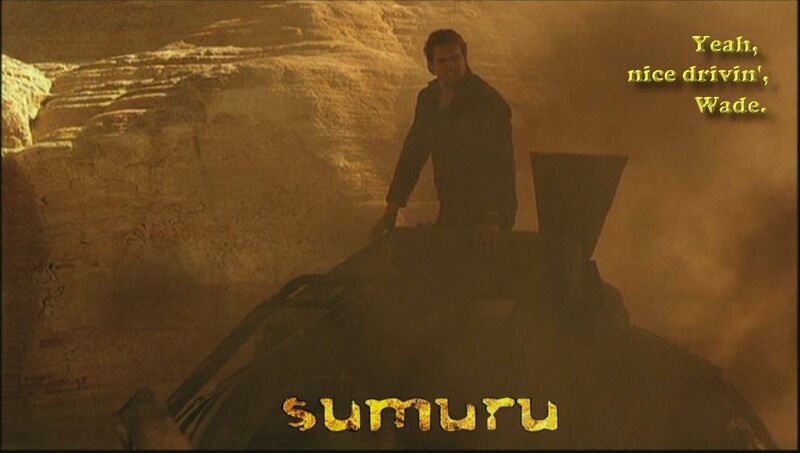 During his one year break from Stargate SG-1, Michael Shanks starred as Adam Wade in the Tandem Communications production "Sumuru". While he's somewhat apologetic about that, I thought I could not let his appearance in this Sci-Fi TV movie pass by without buying the DVD, watching it a few dozen times, and doing something creative with it. Here are the results. Latest additions are on top. More wallpapers may be added without warning. There may be some slashy subtext cropping up as well. You're welcome to use these images for personal stuff. In fact, I'd be incredibly flattered if you did. Just don't sell them. It'd be nice if you dropped me a line, just so I know where my images end up. Thanks! 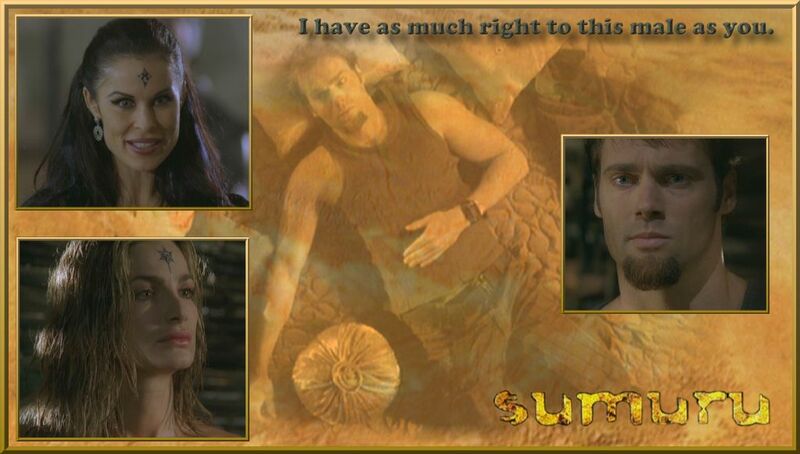 The screenshots used for making these wallpapers were made by me, although the images, characters and situations belong to Tandem Communications and a host of other companies. No copyright infringement is intended. No money is made of this (at least not by me).